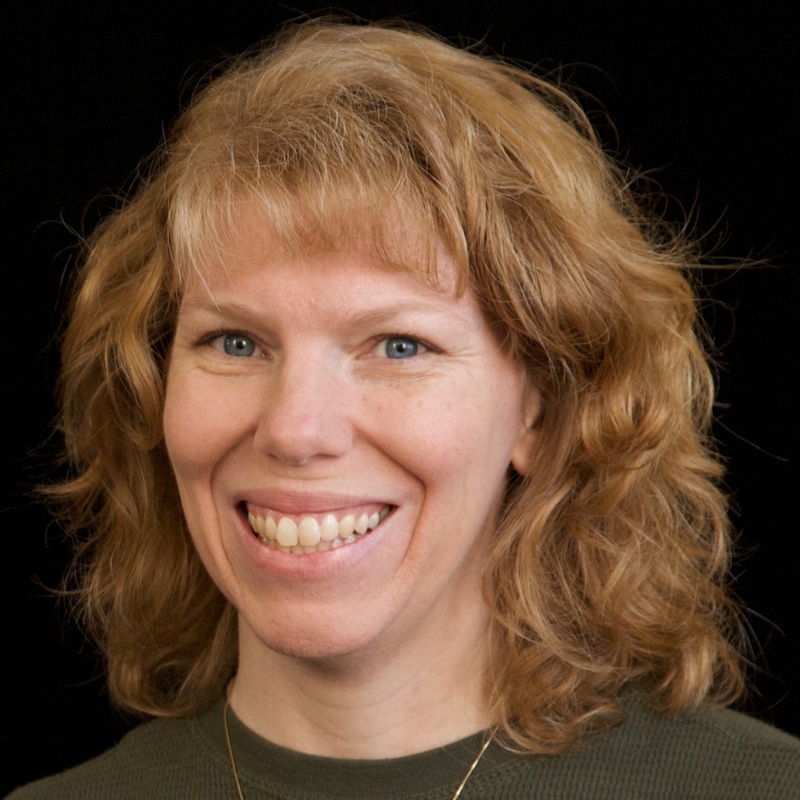 You know what's REALLY fun? Splatter painting! 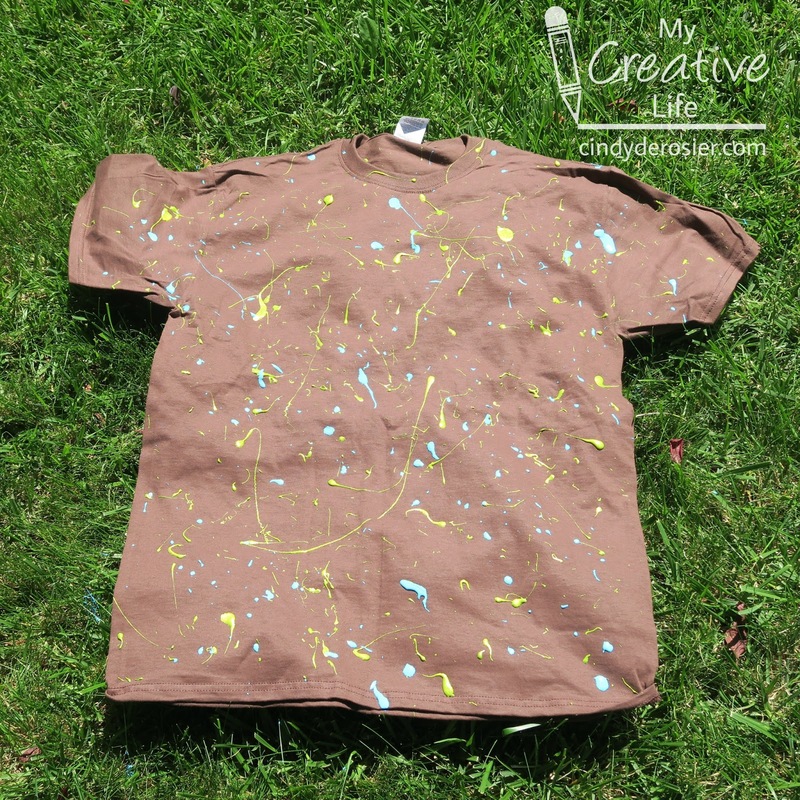 Remember the canvas I made in the Splatter Room at Creativation? It was so much fun! 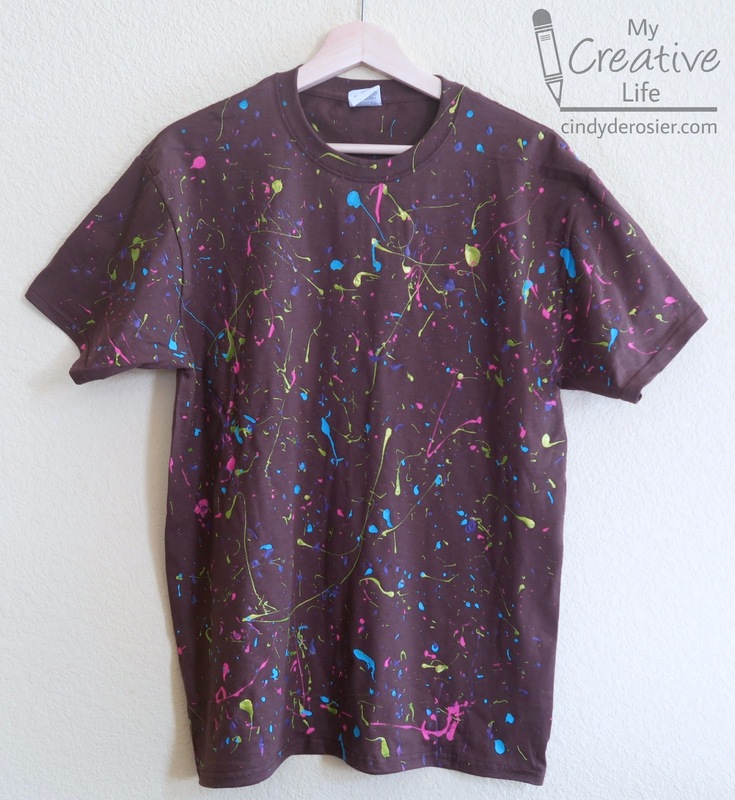 Making a Splatter Paint T-Shirt is just as entertaining, with the bonus that you can wear it when you're done. This is a great project to do just for fun or to pair with a study of artist Jackson Pollock. Put on an apron or old clothes. You won't necessarily get paint on yourself, but better safe than sorry. 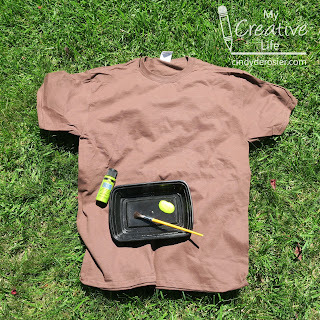 Spread the t-shirt out on the lawn that needs mowing. Pour a little bit of paint into the container. 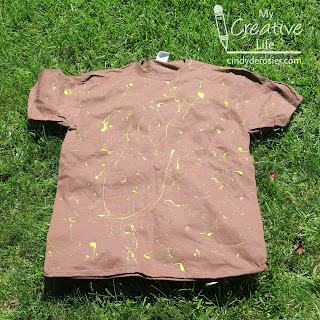 Dip the brush into the paint, step back, and fling the paint toward the shirt as it you were throwing a ball overhand. 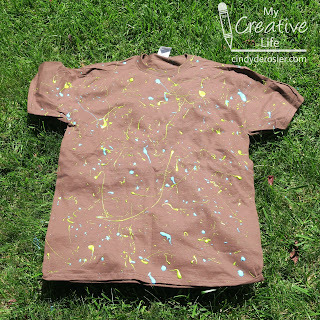 Most, if not all, of the paint should land on the shirt. If it doesn't, adjust where you are standing. 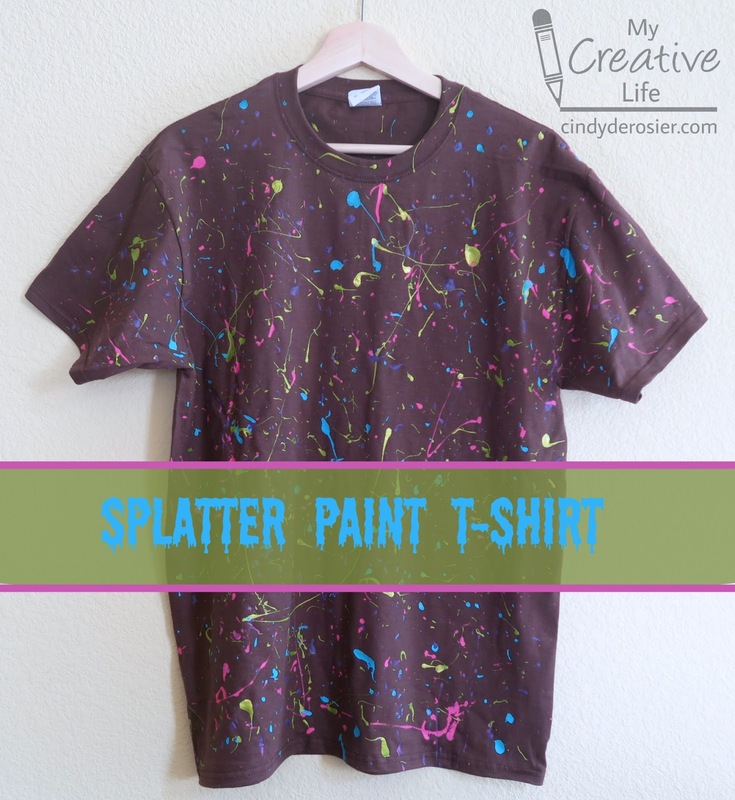 Continue flinging paint toward the shirt until there is an even coating of splatters. Pour the second color of paint into the container. Using the same brush, dip into the paint and start flinging. Continue this with the remaining colors. There is no need to wash or change the brush between colors. 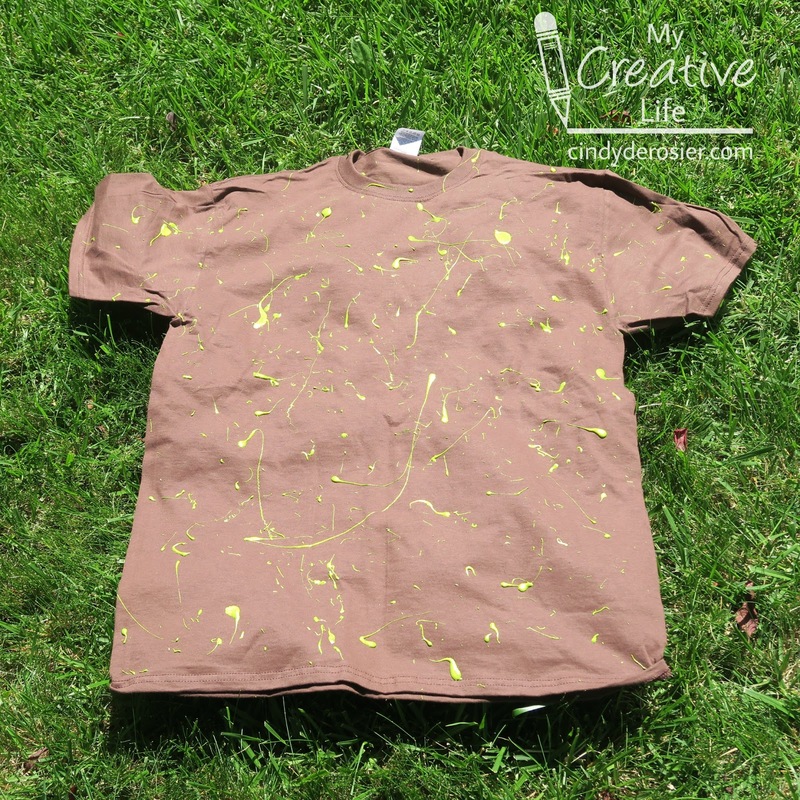 When you are happy with the amount of paint on the shirt, leave it to dry in the sun. When it is dry, turn it over and repeat the process on the back if you want that side painted too. 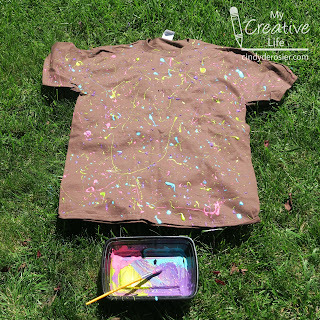 Bring the dry shirt indoors, hang it up, and let it dry completely overnight. If you don't go too crazy with flinging, there won't be too much paint on the grass. But if there is, no worries. The lawn needed to be mowed anyway! Such a fun project! 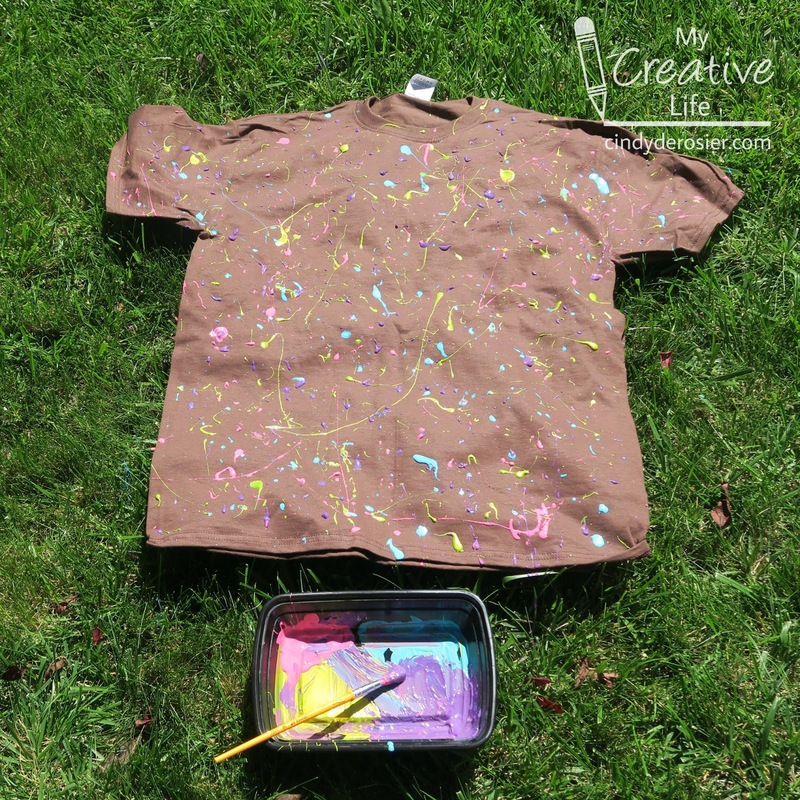 I think kids would love this!Thanks for stopping by my blog!